The first ever freediving competition for Brisbane, will be held this month in a landmark event on the 18th and 19th of May. 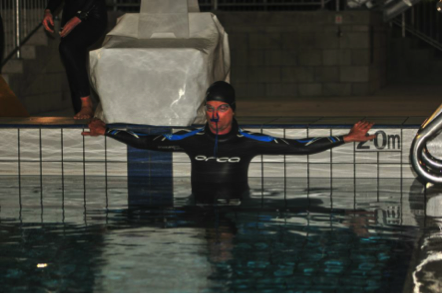 The Brisbane Freediving Open 2013 is a national pool competition, to include three disciplines over two days. 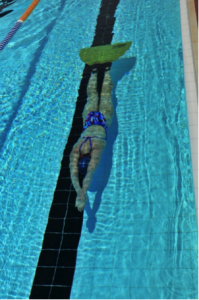 The competition will be held at the Sleeman Sports Complex and is being hosted by the Brisbane Freedivers, who are a local not-for-profit group that train regularly in the sport of freediving. Freediving is a form of underwater breath-hold diving that relies on a diver's ability to hold his or her breath until resurfacing, or also known as apnea diving. For those who have explored and delved into freediving, a close experience reveals that it is a complex and diverse sport which encourages self-discovery and improvement, and overall can offer qualities that appeal to everyone. 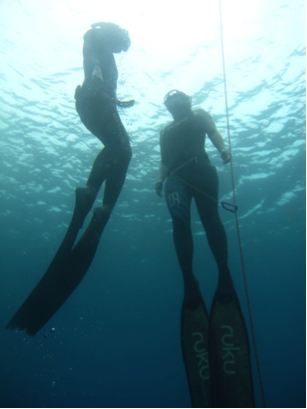 Jenni Uimonen and Nicole Keating freediving in Vanuatu. Competitions, however can be demanding; both mentally and physically. In order to ensure athletes are prepared for the upcoming event, the Brisbane Freedivers held a national training night on the 1st of May, where potential competitors practiced in a simulated competition. Event training, known as ‘max-nights’, are an excellent opportunity for new athletes to experience how a competition will be run on the day, and to practice under the rules. On top of regular training methods and ‘max-nights’, serious athletes will go to further lengths to train for a freediving competition. A few months before an event, elite athletes stop all activities that increase heart rate and metabolism in order to reduce their oxygen consumption while increasing freedive training that adapts the body to increased carbon dioxide. This includes swapping cardiovascular exercise for increased apnea training, and cutting out foods such as coffee and chilli. While this freediving competition will be held in a pool rather than the ocean, the principles of breath-holding are the same. The mind is the biggest obstacle to success.